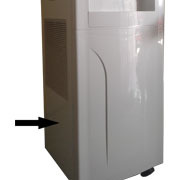 Our Atmospheric Water Generator extracts the humidity in the air and turns it into pure drinking water. 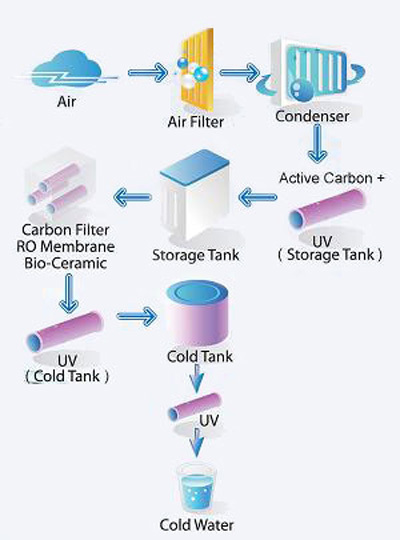 The water production capacity relies on the level of humidity in the air and the temperature. 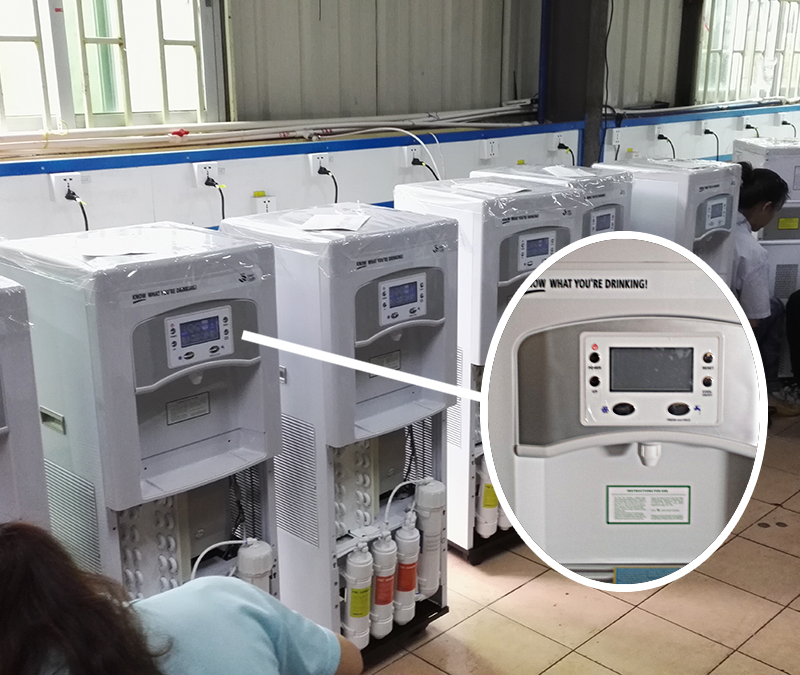 The humidity level should be in excess of 35% for the machine to reach optimal production, fortunately the average humidity in Thailand is well above that level. 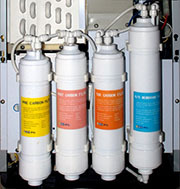 The water is treated by UV-Lights and multiple filters to ensure every drop stays fresh and clean for your consumption. The production tank hold the freshly produced drinking water. 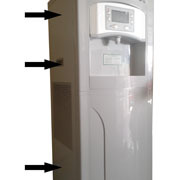 The color LCD display gives a complete overview of the water generator. 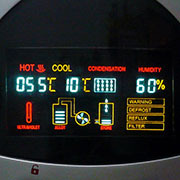 The hot water tank contains on-demand hot water at 75 to 95°C. UV-Lights are in the water tanks (except hot water) and before the water faucet. 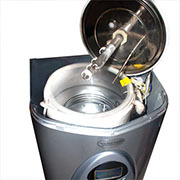 Each of our units is carefully tested and retested, then sanitized before we deliver them to respective clients. We stand behind engineering excellence, innovation and superb quality control which make us leaders in Atmospheric Water Generation technology. Although the machines are designed for high efficiency, like all electric machines they consume energy to extract the water from air. The production of a liter of pure drinking water costs far less than a liter of bottled water! The average cost is about US$ 0.02 per liter of water, depending on local electricity rates when it operates under designed conditions. 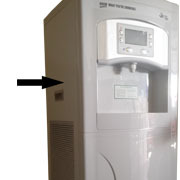 * We offer atmospheric water generators with and without hot water production capabilities. This is a presentation from ecoloblue, offering the same machines on the US market.